Dance families, it’s almost time for Parent Observation Week! 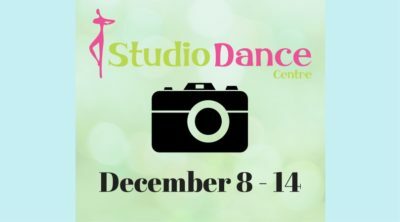 We’re so excited to invite you into the classroom to see a demonstration of what your dancer’s class has been working on so far this year. This year’s Parent Observation Week is Friday, December 8 through Thursday, December 14. Most classes will hold their demonstration during the last 10-15 minutes of class. If your dancer’s class will present at an earlier time, we will email you the week before! Some classes may hold their demonstration in a different classroom, in order to allow for more viewing space. The teacher will notify you if this is the case. We’d love for you to invite other family members to visit during this week! Please be aware that parking, lobby, and classroom spaces will be extra-busy. Siblings are welcome too, of course! We ask that you closely supervise very young siblings so they do not become too loud or disruptive during the demonstration so the focus can be on the dancers. We encourage you to take photos or video to capture this important milestone for your dancer. As a courtesy, please turn off or silence all screens and devices not being used to record. One final note: Dancers are often nervous to show their presentation, so please expect some jitters! Some dancers may freeze up, others will be shy, and occasionally we even see tears. All of those things are normal, and all of our teachers are experienced with guiding the dancers through their emotions or comforting them if needed. Remember that your dancer is growing his or her independence and will benefit from this experience, whether or not the dancing was perfect. Please let us know if you have ANY questions in advance of Parent Observation Week. We can’t wait to see you in the “audience” soon! « It’s not too late to join classes!